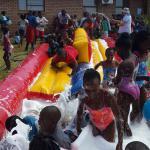 Gateway Primary School, once again, celebrated Spring Day on Friday, 5 September, 2014 with lots of fun in the sun! The day started off cool and windy, but soon warmed up. The cool wind did not dampen anyone’s spirits. 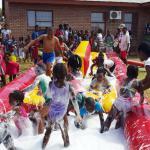 Learners were encouraged to bring their swimming costumes, towels and sun block to enjoy the water slides and jumping castles. 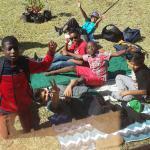 Those who did not want to swim, had picnics on the grass. 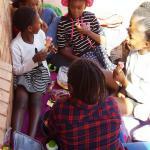 Each learner received refreshments and spent the morning playing and enjoying time outside with their class mates. Gateway would like to THANK all the parents for their support as well as the staff for their hard work in providing a safe, fun filled morning. 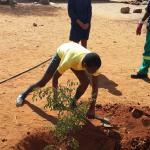 On Wednesday, 3 September, 2014 at 09:00 the Musina Municipality’s Horticultural staff arrived to assist with the off loading and planting of trees for Arbor Week. 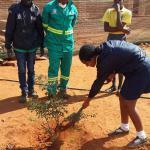 Gateway Primary School would like to sincerely thank the Musina Municipality for their donation of 15 trees (fruit and decorative trees) for Arbor Week. 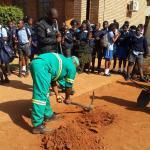 Tirukelem Mola with the municipal staff after planting one of the trees. 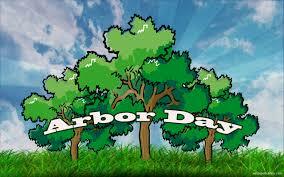 As a new, developing school, the trees are greatly appreciated! 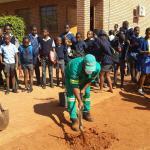 They will not only provide shade for many learners in years to come but will also beautify the school once all the building work is completed. 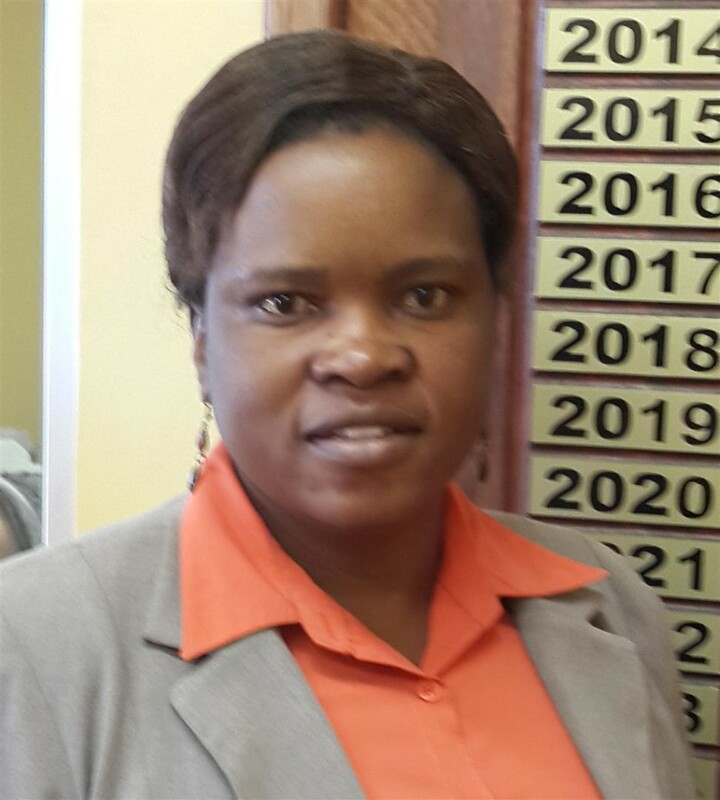 Gateway Primary School would like to officially welcome its new Natural Science & Technology teacher, Mrs Tshiwela Ramalamula to their staff. The “fight” is on as the Top Achievers battle for number 1 place, each term. 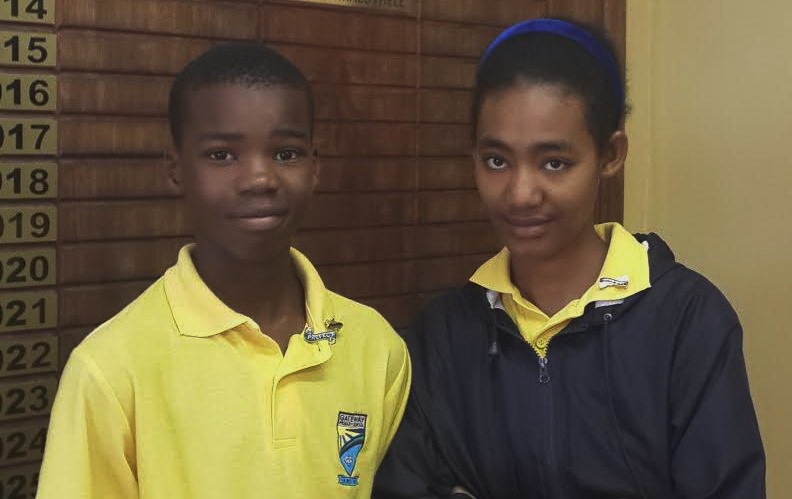 In some grades some of the learners have tied with each other as they battle their way to the top. 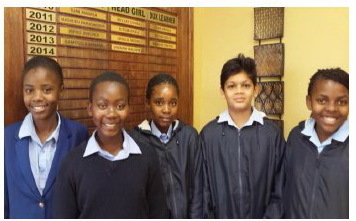 This whole group remained as the Top Achievers group again, for the 2nd term. 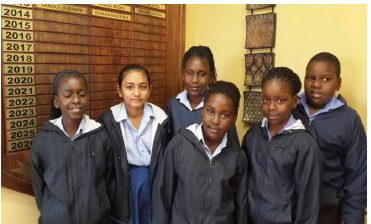 Well Done Grade 5’s! KEEP UP THE GOOD WORK – GATEWAY IS PROUD OF YOU!!! 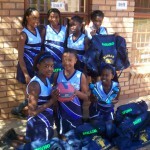 Gateway Primary School’s principal, staff and u13 Netball team would like to take this opportunity to SINCERELY THANK the wonderful sponsors who generously supported Gateway’s u13 team who participated on Saturday, 7.6.14 in the Limpopo Netball Championships held in Tzaneen. The team came 3rd in the Development category ! 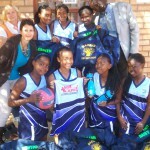 The u13 team was very excited to take part in the Championships, which was a first for Gateway. 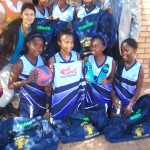 They were totally impressed and so very proud of their new netball outfits sponsored by Jack Klaff Auctioneers. 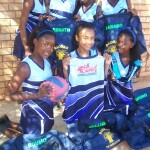 The extra bonus came from Baobab Petroleum, who sponsored large kit bags with each team member’s name printed on. 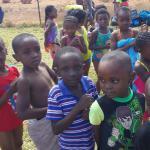 From Kwik Spar, they received water bottles, Engergade cold drinks and chips for the trip. After a hard workout on the courts the team was taken for a meal to celebrate their day in the sun ! The meal was also sponsored by Baobab Petroluem. 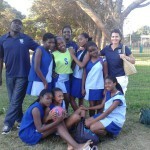 Well done girls and team coaches, keep up the good work and carry Gateway’s name high ! We appreciate you all and our wonderful sponsors. Thank You, one and all ! 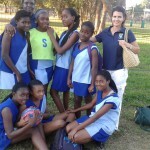 U13 NETBALL ACHIEVERS – Once again Gateway learners make us proud ! Gateway is proud to finally announce their Head boy, Deputy Head boy, Head girl and Deputy head girl of 2014. 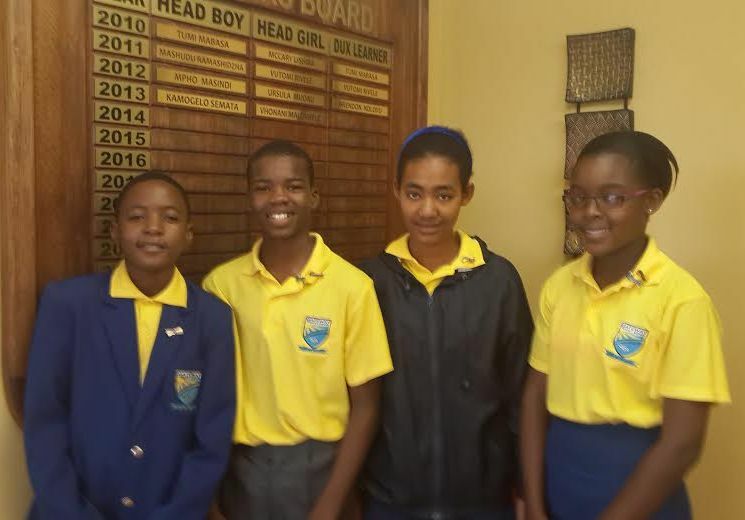 From left to right, are the Deputy Head boy – Murangi Sikhomo, Head boy – Jonah Mudau, Head girl – Tirukelem Mola and Deputy Head girl – Rovho Malindi. Congratulations to the new leadership team. 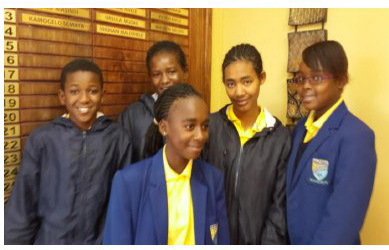 We trust they will continue to carry the school’s name high and with pride. 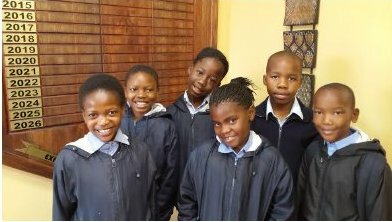 May they be shining examples to all Gateway learners, who will no doubtedly support them and respect them during their term of office. Well done team! Keep the light shining brightly! 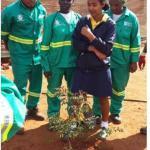 Samantha Shaba Keep up The Good Working Grade Achievement. Keepon Studying Hard My Lttle Sister U will Go Far.